Tour tickets are going FAST for my new set of dates – Toronto, London, Dublin, Chicago and New York. Don’t miss out! 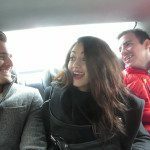 « Does Optimism Kill Relationships? thats a lovely , I used to walk in a school near where I lived and I walked to work. there was a grumpy man who never spoke and every day I used to say hello. In my mind I am not giving up you will say hello and talk, he never rely ed back and I think he got fed up for me and he started talking to me.I think its was snowing and been a Yorkshire lass hates the snow and its snows where I live. if I see him I always make a be line to him.I always make him smile.its when I speak I sound posh put I down to earth common and some people think common your snod. I am just lovely when people realized they their friendly with me. A lovely little message today indeed! Will give it a go. Good to be reminded of good advise. Here is one for you; wear the seat belt. I have try the game a few time now and love it. However today was different I went to buy a phone today and the sale person looked happy but about minute in I released she was faking it. So I decided to make her smile and maybe laugh. I did both and was happy with myself. A little while later when i was paying for my new phone she started introduction me to every sale people that came close to her saying “this is Jessica is amazing and funny women” then onto how I made her laugh. I got a smile and laugh from every sale person in that shop as well as a free phone cases. Plus I walk feeling amazing. Just want to say without this video I would never have had this experience and I am very grateful to you and your team. I can know enjoy the small thing in my life even more. We send you love Jameson even if Matthew doesn’t. I still think your tone of speaking with Jameson sounds too strict. But you probably play a game with this so that people do not stop commenting. In my opinion buying him a coffee makes no difference :-). Thanks for your story about what your mother taught you. This is so inspiring – especially since I have met her on the retreat. Yesterday I expereinced that it is much more beneficial not to sink down to somebody’s bad mood. I had driven quite a far distance to pick up freshly smoked fish, and when I arrived in the other town and I called the guy to apologize I would be 20 min. late because of the traffic jam, he did not even remember that we had talked the night before and that he had allowed me to pick up the fish late because I was from out of town. I was so shocked but I managed to remain calmn and I thought “if he does not sell you the fish now, you are still going to have a nice evening in this town, and maybe you will find a place closer to home for your next purchase”. So I remained calmn and polite, and by the time I reached his home (he had even forgotten that he had given me his home address) he apologized genuinely. He said he had worked for 13 hours non stop smoking and selling fish and he was so exhausted that our entire conversation had escaped his memory. He explained to me that he smoked fish only 3 times a year and he had forgotten how stressful that was and he would not have thought before that it is possible to forget an entire conversation that took place less than a day ago. On my next occasion I will also try to approach suggested by your mom, i.e. I will make a conscious effort out of getting someone out of his bad mood. I really need to avoid such kind of people as they make me completely negative and lower my self-esteem and confidence fully.. But my only weakness is that i’m too soft, tender and sensitive which leads them easily to put me down or take advantage of my softness and soft spoken nature. i’m 26..
Matthew – you NEED to wear your seat belt while driving – please!!! I love that you said you love your mum. Last Thursday I had a similar experience. Had various meetings with clients and they were all having bad days. Most of them were in “Bitchy Mood.” By the end of the day, I felt drained… One may say I was pulled into their “Bitchy Mood.” So I vented on facebook about how if you are having a “BM” day, to just stay home or at least not ruin other people’s day. Oh dear people ganged up on me and kept saying that I was the “BM” for saying that. I received many hateful comments. I was amused. Then one of my friends who is going through a difficult battle with cancer, she posted, “When you run into those people Sandra, just make them smile.” She was right. You are so right about the DMV. She/He just made up my entire day to work. I mean the person who did that is a complete stranger BUT he/she just validated something to me which is that “Happiness is not a station you arrive at, but a manner of traveling.” —Margaret Lee Runbeck. It a person who is very kind hearted and honest with their own self which is something that’s lacking nowadays in alot of peoples’ lives. We get caught up in our everyday’s routines and we pay attention to the little things that has the potential to ruin our days FORGETTING that we have the key to either focus on how it can tear us apart, or look at the bright side and it as a challenge to use for anything that would cheer you up. Whatever you do, don’t get stuck on the one thing that ruins your day. JUST SMILE and be grateful. Life is too short to waste on NEGATIVITY. We ALL NEED TO believe in that Living simply, Loving generously and Speaking truthfully is the one of the assets to create a life that feels right to US,and NOT one that looks right to everyone else. Anyone else notice he wasn’t wearing his seatbelt that whole video? that’s how the kardashians wear their seatbelts on their show. Matthew? Driving with your hand off the wheel because you’re so busy gesturing? I am never getting in a car with you. I remember what you said about optimism on Friday! How about relationships? Why does not everybody enjoy romance? Are people too optimisic…thinking everything is gonna be fine? The arctic has one of the lowest volumes of ice since records began! Are people too optimistic…thinking everything is gonna be fine with planet earth? How about all poor, wounded, ill, starving, left-behind, broken hearted human beings? Why does not everybody help them? Are people too optimisic…thinking everything is gonna be fine with them? How about all the endangered animals? Why doesn’t everybody protect them? What does optimism do to relationships and what does it do here? Does optimism not do the same here? When people are too optimisic, can they see the truth and anticipate the dangers? Why doesn’t everybody protect planet earth & help all those unfortunate human beings & animals & plants? 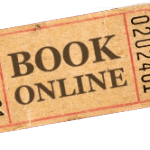 Why doesn’t everybody visit your live-event & save their relationships? Thinking everything is fine if it’s not? Thinking everything is gonna be fine if it’s not gonna be fine at all? If people cannot or don’t want to see the truth anymore, our planet and everybody and everything is endangered! May I thank you with all my heart for everything you said on Friday! It was a very very very strong message and yes, I totally agreeeeeeeeeeeeeeeee to what you said! Matthew Hussey is definatly not a pessimist! Why can’t people protect them? Are people too optimistic…thinking everything is gonna be fine with them? How about every problem that exists on planet earth? Are people too optimistic…thinking Oh such problems do not exist & if they know they exist rather call people pessimistic than learning & growing & saving humankind? People are capable of love and moral behavior. That is the true reason for their dignity. Protecting the environment only makes sense if it benefits humankind because the environment as such doesnt have a dignity. We want our dogs to understand us, we want our horses to love us back but they dont. So plants becoming extinct isnt a problem as such exept when we need them for medicine. Would you consider doing an episode about your parents’ parenting philosophy/approach/techniques in raising you/your brothers? Sounds like they have a good/interesting approach from the bits I’ve heard you mention or drop-in. Also, just thinking outloud – If young children had these habits of thinking and living instilled from a young age (and consistently as they’re raised), seems like it would compound the reach of your awesome messages ten-fold and inter-generationally…. plus I would love to learn a better way than I know; would love to hear! OMG once you said DMV a started laughing my bottom off its like that in houston too (and we only have like one or two locations for the entire city like the 4th largest city reduced to one or two locations!) the social security office DMV or basically anything the government runs it’s terrible experience. You are such a lovely and authentic person Matthew. Thanks for a nice video. I actually do this technique all the time, but never really thought much about it until I watched your video. Keep those videos coming. I hope to see you when you come to Toronto. When I got the link for this video in my inbox, I thought the subject of discussing how to manage negative people you meet in your life is a great topic to talk about. It is a subject that not enough people discuss and they really need to. I am so thankful that you are talking about it and giving advice on how to handle it. I have friends in my life that I feel that their default emotion is sad/negative/depressed. They always look for reasons to be sad instead of happy. They do not understand that happiness is a choice. It is choice that you make in every situation. I like the idea of making it a game to make these kind of people happy. Can you give specific, concrete examples of how to that? I have tried to make my sad friend happy and nothing has worked. I’ll give you a real life scenario that I dealt with with my “never happy” friend. I live in New York City and when Super Storm Sandy hit my friend called to ask if she could stay at my apartment because she lived in one of the mandatory evacuation zones. I of course said she could stay as long as she needed. She ended up having to stay for three weeks. The entire time she was in my apartment she was in a very sad depressed state because she could not stay in her own apartment. I tried to engage her in conversation and tried to make her happy but there’s nothing I could do turn her mood around. She was in fact rude and dismissive to me whenever I tried to talk to her when I came home from work. What games could I’ve done to make her happy and not so negative? I felt she had the choice to be happy because she had a warm apartment to stay in with electricity and running water but she refused to see that. She just cried all the time because she didn’t have her own apartment. She had a choice to be happy but she chose to be sad. It was hard for me to watch and witness her constant sadness because I volunteered to clean out the houses of people that lost everything and they were not as sad as she was. She lost nothing. She was just temporary displacement from her apartment for a few weeks. Her apartment was perfectly intact and she lost nothing. She just didn’t have electricity and running water for a few weeks. She was acting like she lost everything she ever owned when that was not the case. She just couldn’t keep things in perspective and focus on what she did have. She even started to blame me that she was not happy which was really upsetting because there was nothing I could do to make her happy. I tried everything to make her happy! I gave her a free place to live for as long as she needed. In the end, I felt she does not take responsibility for her own life and her own happiness in all aspects of her life and expects others to do it for her and she gets angry when they can’t make her happy. That is game she plays. It is a game I no longer play with her as I cannot be apart of it. She does not see that no one can make her happy except herself. I never respond to email or YouTube postings and I’m new to reading your books, email advices and web videos. Even though I feel your responding to women’s comments about Jameson somewhat amusing, I don’t feel you should apologize for woman critiquing your work. I some how feels it lowers your worth and you talk so much about worth to woman. Just wanted to put that out there. Thank you for sharing your (and your mother’s) wisdom. This is a lovly tip and I will try to do that and also encourage others to do the same. We need more smiles and happiness + less frowns and grumpy attitudes. Have a great Sunday in Cali. I would like to purchase tickets for Toronto…trying to get a couple of girls to go with me…where is it held in Toronto? When are you coming to South America Colombia? The DMV I used to go was exactly as you explained. It was the sanctuary of Miserality. (Miserableness) Something happened and now they would bend over backwards to assist you; as if I were a 5 star buying customer at an expensive store. I love you Mom’s advice. By getting them to smile or laugh, you might uplift them and definitely yourself. I think your mom has a lovely attitude. If she does that genuinely on a regular basis, it’s more of an attitide than it is a game. She must have a healthy source of her own – very adorable. No, Matt, you don’t treat Jameson bad at all. I think you guys have a great time together. And I would like to thank you for the amazing wisdom you have shared with us. And the person that you are. I really look up to you. I want to become like you when I am older. Such a leader that you are, your energy and insights are life-changing. I hardly say this to anyone. Its nice to think Matt actually reads his YouTube comments. Or at least gets some of the themes of them reported back to him! I wish I had a mate like him that I could just text and ask for advice on all these frustrating game playing g guys! Or a pocket Matt that would be good. 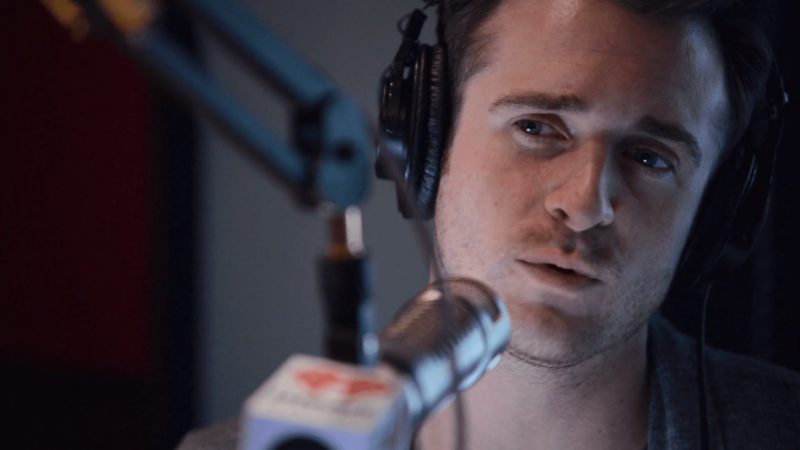 I’ve always joked to myself that Matthew Hussey needs to be cloned and then micros-sized so that we have him around at all times for his wisdom, insight and humor on any given situation. An added bonus; we can gaze at his handsome face and listen to that gorgeous British accent full of wisdom. One of my best friends works at the dmv. She is a needle in the haystack of lovely people there. I praise her all the time. She is the person you refer to in this video. I love this and I actually do this at work. I sometimes need to do a project with the coldest of people and I play this game where I see what it will take for me to “melt” them. I’m usually in a decent, if not happy mood, but seeing your video I have to admit that recently I was the grumpy one. After going to 2 banks to try to open a new business account and not being able to because I didn’t have all the info that they required with me, I was in a bad mood because it felt like such an unproductive day and it was near the end of Friday. I wanted to get it done because otherwise I’d have to wait till the next Friday. When the 2nd banker told me I needed another piece of info that I didn’t have on me, I was surprised by my reaction because my lip started to quiver like I was going to cry. I think it was just the culmination of 2 days of feeling like I was “spinning my wheels.” I went to my car and found the info on my phone. I actually was too embarrassed to go back in so I drove to another branch. Thanks Matt for the excellent game advise …I am going to use that strategy and test it on the next negative situation that I might encounter..
Yay, Matt and Jameson! Road trip!! I thought it would be something like out of The Hangover. Like, “Dude, you got a tattoo last night!” :-) I love when you even mention Jameson. The DMV is miserable, but everyone looks their best there. Weird, but true. Glad you found one nice person there. You have a lot of your mom in you. I had a weird day. Spent all day baking and am exhausted now. And the cakes didn’t come out well and are inedible. But you made me smile. :-) Thanks for that. 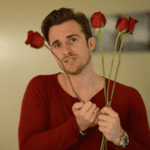 Matthew Hussey, you are a gem! Your mom’s game is awesome – I think I’m going to make up a game to play with my preschoolers based on how to do this – play the happy game! Obviously the benefit is that when we make others smile or laugh and don’t feed into their negativity, not only do we help lift them up a bit, but we are uplifted as well. Just think what the world would be like if everyone did this even once a day… I’ve also found that giving people treats is a very nice way to cheer them up ;) Looking forward to your next video – I love them all!! Many blessings to you. Your mum sounds absolutely adorable! I love that she makes it into a game ask her what she does when she’s having a bad day and then comes across a negative person that’s the worst. I went to the DMV right after I moved here and they were really nice and welcoming. I seem to always find someone to talk to also try that next time it makes the time go by much faster especially if they are some crazy that’s lost their marbles yes those are the best.